Posted on January 26, 2016 . 14 Comments. A few months ago, one of my students expressed the desire to include the barbell back squat in her strength training protocols. She had been doing double kettlebell front squats for some time and had become pretty strong at them, but had never worked seriously with the back squat. She was able to perform the back squat with good form at medium weights, but she never challenged herself with heavy weights. At the time she expressed her desire to do more back squats, she was strong enough and her groove good enough to bypass beginner programs, but her confidence with the lift wasn’t yet to the point that I would dare have her test a 1RM. So, I drafted a program based on her 5TRM. T stands for technical, and therefore, 5TRM refers to five reps performed with perfect technique, with the last one looking as good as the first, if not better. In all those cases, I wouldn’t dare to test a 1RM at the beginning of a program with a new lift, not at least until the athlete has acquired mastery in that lift. One solution to the problem of not being able to measure a 1RM is to build a program around a weight with which the lifter is able to perform a certain number of perfect reps, in this case the 5TRM. Since the athlete needs to build strength and at the same time automate a perfect groove, a fairly high volume is required. From now on, I will refer to the parameter volume with the acronym NL, which stands for number of lifts. The NL should be built only of high-quality reps. In order to do so, the lifter should perform a high number of sets, each one composed of a moderate number of reps, always performed far away from failure. This means performing in each set a number of reps that varies from one-third to two-thirds of the total reps that could be completed with a given weight. Performing a lot of sets also means repeating the set-up for the lift, which helps to make it perfect. A perfect set-up is the foundation for perfect reps. 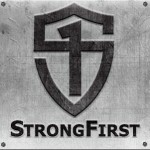 So, for my student in question, I drafted a program inspired by Phase One of the StrongFirst Military Press Plan 410, one of the numerous cycling programs included in the Plan Strong Manual that has proven its effectiveness on countless athletes. If you want to improve your strength programming skills, I strongly suggest you attend a Plan Strong Seminar with Pavel. Not only will you learn the secrets of the most successful Soviet programming methodologies, but you will also receive a detailed manual that includes countless field-tested programs that are incredibly effective. The 5TRM Back Squat Program builds up the NL gradually, week by week, while the athlete always lifts the same weight, with the exception of a few heavy singles performed once a week. The program I drafted differs by NL and intensity from Plan 410, but the progression is very similar. Practice your back squat three times a week. Day one is comprised of a medium NL, day two a low NL, and day three a high NL. You will practice mostly with 90% of your 5TRM. On low NL days, you will also perform one or two singles with 105-110% of your 5TRM. To begin, you need to test your 5TRM. Again, T stands for technical, so I’m expecting you to test the weight with which you can perform five reps, each one with perfect technique. Please forget the idea of a 5RM performed in an all-out set where the technique falls down more and more at every rep.
Next, calculate 90%, 105%, and 110% of your 5TRM and round up the results to the closest 2.5kg/5lbs. Now, you have your training weights. Break up your daily NL with 90% of your 5TRM in rep ladders of 2,3, and 5 reps. For instance, if your daily NL is 25, you will perform: 2,3,5,2,3,5,2,3. On low volume days, after every set of 5 reps with 90% of your 5TRM, perform a single with 105-110% of your 5TRM. Take long rest periods between sets, especially before the sets of 5. The progression is flexible; if you feel you can’t add volume every week, stick to the same volume for two or three weeks before progressing. Practice only twice, Tuesday and Friday. On Tuesday, perform 3 sets of 3 reps with 90% of your 5TRM. Then two singles with 105% of your 5TRM. On Friday, perform 3 sets of 3 with 90% of your 5TRM. Then two singles with 105% of your 5TRM and a single with 110% of your 5TRM. 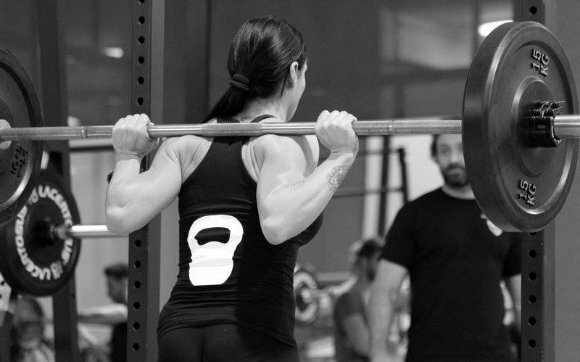 Rest for at least five minutes, and then test your 1RM. At the beginning of the program, my student weighed 48kg (@106lbs) and her 5TRM in the back squat was 70kg (@155lbs). So, she practiced with 62.5kg (@140lbs), 72.5kg (@160lbs), and 77.5kg (@170lbs). At the end of the program, she weighed 49kg and squatted 95kg (@210lbs) for 1RM. After testing her 1RM, she tested with her previous 5TRM and performed 11 perfect reps. Since then, I have tested the protocol on several other athletes, both male and female, and also with other lifts, and I have seen similar results: the 5TRM doubled or almost doubled after the eight-week progression. The program should work well for any form of squat or press, and also for pull-ups, provided that 90% of your 5TRM equals at least your bodyweight (unless you are willing to cut off one of your legs in order to follow the program). In order to apply this protocol to deadlifts, most people would need some downward adjustments of the NL. So, if you belong to the category of those who wish to become stronger in a lift, but do not feel it’s safe to test your 1RM, I invite you to give this simple program a shot. Please let me know your questions in the comments below, and if you try the program, let me know your results. Fabio Zonin is a Master SFG, SFB, and SFL. He is a former powerlifter, natural bodybuilder, and owner of fitness centers. 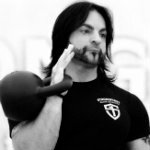 He was the first Italian to accomplish the Beast Tamer Challenge and has been a Master Teacher for FIF (Italian Federation of Fitness) for almost two decades (1994-2012). He is also the Ground Force Method National Director for Italy. He is the Former vice president of the AINBB (Italian Association of Natural Bodybuilding), and has trained many athletes at national and international level in natural bodybuilding, powerlifting and other sports. He has authored numerous articles for Italian popular magazines and websites dedicated to fitness, bodybuilding, and strength training, and has worked with to leading Italian companies in the field of sports equipment, body composition evaluation software, and nutritional supplements. In case it helps, I’ve been doing this as a stand-alone program for weighted pull-ups for the last ten months continuously. The first time I used my bodyweight, then as soon as the eight weeks were up I started over immediately the next week, using my bodyweight plus 2.5 pounds. I increase it a pound or so every month, and am now at ten pounds. It’s worked great – I have no injuries or soreness and have seen considerable muscle mass gain. The reason I chose this program is because it’s really the only way of targeting biceps that I have (I have weak wrists), so I wanted a three-day-a-week program with lots of volume, and I’ve never seen much use in a pull-up program that worked around 1rms. Thanks for the program. Why is that? Does it mean that if my, say, 5TRM is less than my bodyweight, the program will not be successfull? Just finished this program, with the barbell military press. I started the program because I wanted some volume and I didn’t feel like testing a max. My 5trm was 120. I ended up maxing at 155lbs ( with only seven hours of sleep in the past two days). Thanks for the program. I might try the new program based on my 1trm soon. Excellent article! Very sensible approach to increasing strength in this lift and probably a great protocol for anyone looking to get stronger safely and efficiently that is not competing!! Great work!! Could you use this program to increase squat and deadlift at the same time? Meaning, train the squat and deadlift movements at the same time with this protocol? Or would you prefer one focuses on one lift for this program? Just a couple of Q, making sure I understand correctly, for the 105% and 110% sets, from week one to week 6 you do 1 single with 105%, then only on week 7 and 8, a single with 105% after first ladder and then another single with 110% after second ladder, those are the only weeks where 110% is use, am I correct? I will be trying this with deads, would you do any modifications? Also, how would you spread this out to workout 5 days a week, ala PTTP? With the later weeks its two ladders then one single. You choose 105-110% based on how you feel. Look at other articles for deadlift programming. I personally wouldn’t deadlift more than once a week. Three days to squat is plenty. Don’t forget StrongFirst is build around swings and get-ups. How could one incorporate Swings and/or Deadlifts into this plan? (My opinion) I don’t think this program would relate well to swings or the deadlift. The swing volume would be much higher and the DL volume much lower. acronym NL, which stands for number of lifts.